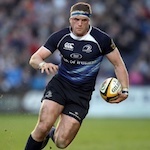 babbling brook, the leinsterfans.com supporters forum • View topic - There's been too much talk about the hard cases. Re: There's been too much talk about the hard cases. I would rather a shortened existence than a life of torture and neglect at the hands of parents who did not want me. Is that an argument for killing children in unhappy homes? No its a personal preference, you wanna fight about it? Peg Leg wrote: I would rather a shortened existence than a life of torture and neglect at the hands of parents who did not want me. Yes you would have personally preferred to have been aborted if there hadn't been a nice home waiting for you. That would have been your personal preference. tomthefan wrote: We've no more outsourced abortion to Britain than we've outsourced FGM to Nigeria or wherever. 12 women a day dont fly to Lagos for FGM. Equating a medical procedure, grim and sad as it is, that's legal in most developed countries to a tribal shaman ritual in (mainly) Africa that's completely illegal or soon-to-be completely illegal l in most developed countries is one of the most ridiculous arguments I've ever seen. Do you dispute that Irish women travel to the UK for abortions?! Our Abortion rates are in-or-around 3000 a year at least. tomfan wrote: The baby isn't an extension of the mother, it's a distinct human being and no one should have the right to end another's life because it isn't convenient. This has nothing to do with my last point. A Yes vote will have absolutely no effect on you if you're pro-life you can still be against abortion and choose not to have one if you are pregnant. A No vote continues the enforcement of a pro-life views on everyone causing the private, personal choice to be made to be much more harrowing, stressful and undignified for the people involved which is wrong. Yes and you're doing yourself a disservice by that attempt to retell my comment as being as fickle as not a "nice home". There are enough records out there pertaining to the many differing types of child abuse in the home cases and the devastating effect on those children and in some cases society or others affected ny the actions of those victims. Last edited by Peg Leg on May 25th, 2018, 4:50 pm, edited 1 time in total. Apologies i forgot to reply to your final comment. Today is all about my personal preference. Anyway, the constitution is no place for a medical or ecumenical diktat. The Doc wrote: There is a difference between foetuses and babies. One is capable of self sufficient life and the other isn't. Suggesting that being incapable of looking after oneself is an argument for abortion is about as morally bankrupt as it can get. Anyway born babies will die too if there is no one to mind them. That goes for a lot of other people too, so that's no kind of an argument. You'd swear that for the last 35 years that the women of Ireland had been enduring worse health than their English counterparts when the opposite is the case. They have longer life expectancy, we have lower infant mortality and we have a vastly lower abortion rate. Why do we need to do what they do when what we're doing is patently better. Oldschool's a game of thrones fan by the looks of it. Right I've voted. Thank you for the counterview Tom. A lot to consider but not enough to convince me to change my opinion. paddyor wrote: There's really no need for the gif. Because we're not in secondary school anymore and we don't need your opinion illustrated with a picture. They give these pictures to expectant parents you know, Paddy. They aren't generally regarded as offensive or upsetting. I notice that you, like many of us, have gone to the trouble of uploading an avatar for yourself. I also note that this forum provides the facility to insert images into posts. I wonder if you have complained previously about posts with embedded images? After all you consider such a practice juvenile, so I presume you have. Haven't you? You'd never have put an image in a post yourself by any chance? What could it be about a gif of a healthy nine week old foetus that you find objectionable? Peg Leg wrote: Right I've voted. Thank you for the counterview Tom. A lot to consider but not enough to convince me to change my opinion. I wouldn't like to have a yes vote for the slaughter to come on my conscience. Therein lies the rub Tom. I'm not choosing, so it's not going to be on my conscience. Im just giving the opportunity to others to choose. I'm good like that. tomthefan wrote: They give these pictures to expectant parents you know, Paddy. Look, I dont think it adds anything to your POV. At all. It's a fairly blatant attempt at shock tactics, that to be quite honest, has lost it's impact on the 963589 time of using it. I fully respct your opinion on the matter, but that's just lazy. Well fair play to everyone who voted Yes, exit polls are looking great. Here's hoping for 2 historic wins this weekend!! The really significant thing about this result (assuming it proves accurate) is that it is so conclusive that it makes it much easier for the politicians to actually push through the promised legislation. Dave Cahill wrote: Political commentary is essential though. The vote tomorrow is only a small step in this process. The significant battle will be when the Bill to Regulate Termination of Pregnancy is brought before the Dail. I'm not confident that many people (on either side) realise this and when the 8th is repealed (as I believe it will be) people will head off thinking thats that. I'm more confident of the 8th being repealed than I am of the Bill being passed. Exit poll says you are well wide of the mark. The "catholic centre right" party put a clear option to the people and the ammendment has been passed (77% in Dublin suggests Martin has saved FFs bacon there with his stance) and the proposed legislation will sail thru the Dail. Realistically, no Dublin TD will defy the result of this poll in any meaningful way. That 77% includes 2nd, 3rd etc preference. They'd be toast.